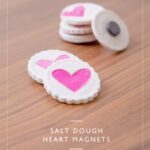 Super cute and easy DIY Heart Necklace for Kids to make! 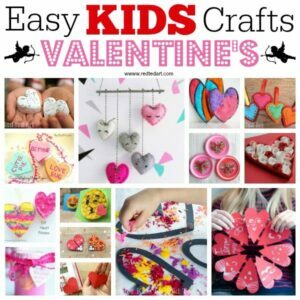 Kate from The Craft Train delights us again with her fabulous and easy Kids Valentines Day craft for the 31 Days of Love series. 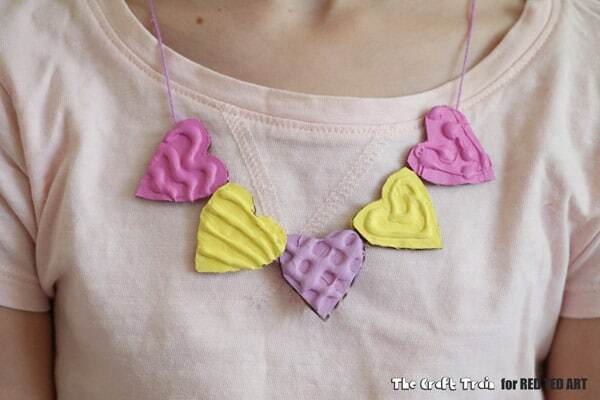 Today, she shows us how to upcycle the humble cardboard box, into adorable DIY Heart Necklaces. 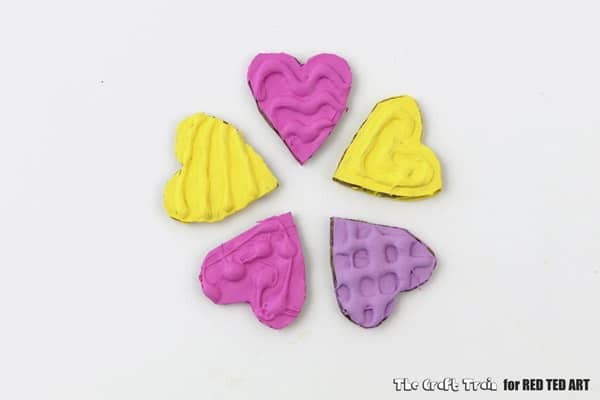 Wear these yourself or make a set for your BFF!! 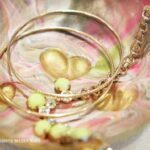 These would also make a lovely Mother’s Day Gift, don’t you think?! 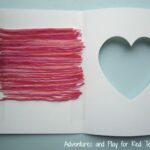 Hello, I’m Kate from The Craft Train and I’m so pleased to be sharing one of our crafty creations here on Red Ted Art for the 30 Days of Love series. 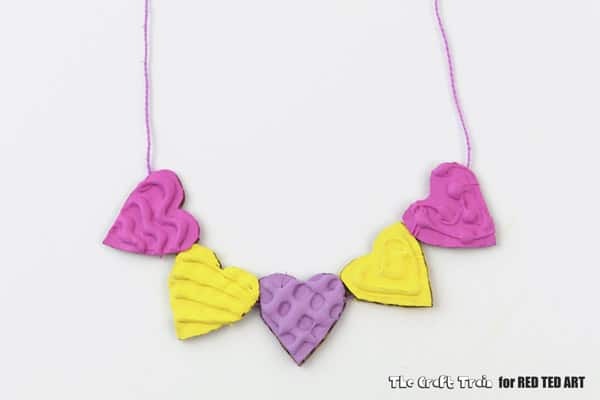 This is a cute textured heart necklace which combines two of my favourite craft supplies: Cardboard and the Hot Glue Gun. 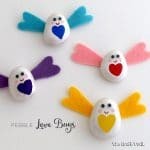 Painted in pastel colours it’s a sweet craft you can make for Valentines Day or a pretty necklace all year round. We know how much you LOVE to watch videos.. so we have once again a choice of video instructions or step by step photo instructions below! 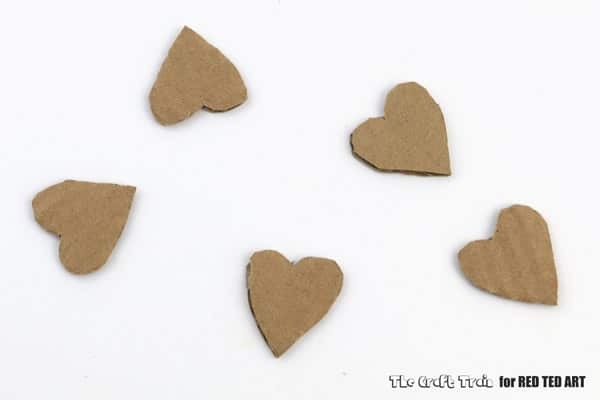 1) Cut out a small heart shape from light card stock (or a piece of cereal box). 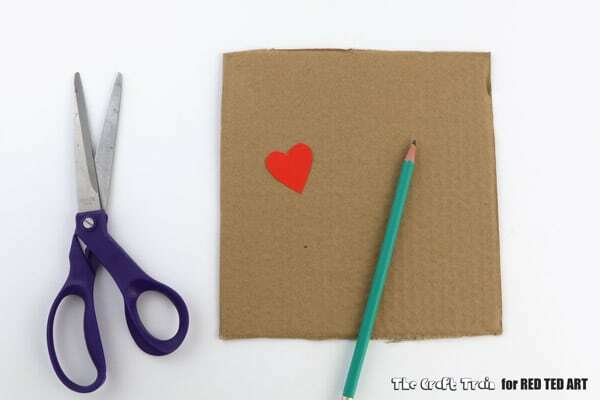 2) Use the heart as a template to trace more hearts onto your scrap cardboard, I’ve traced five hearts but you can make as many as you like. 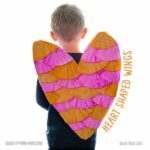 3) Cut the heart shapes out. 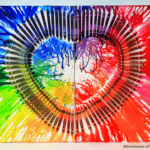 4) Poke a skewer into each heart so you have something to hold onto when using the hot glue gun and don’t burn your fingers. 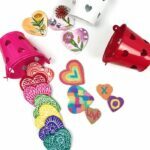 5) Use the hot glue gun to create patterns on the hearts. 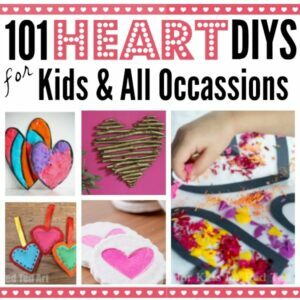 6) Once the hot glue is dry (it won’t take long), paint the hearts on both sides. Keep the skewer in whilst painting them, it will make it easier to hold them and not get paint all over your fingers. 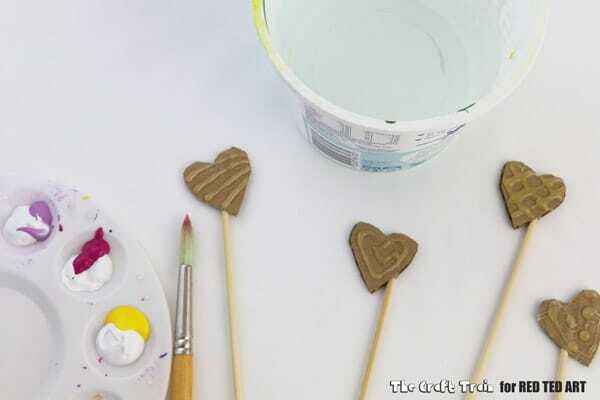 7) Place the painted hearts in a glass jar or cup on their bamboo skewers to dry. You might need to add a second coat of paint to get the colour completely opaque. 8) Once dry, use a needle and some embroidery thread to sew them into a strand to create your necklace. 9) Tie a loop in one end of the string, and thread a button onto the other end to make a clasp for tying your necklace around your neck. Kate Grono is basically a big kid who never grew up and still loves to muck around with paint, glue, glitter and recyclables. 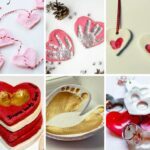 With the craft ideas she shares she hopes to give other parents and carers inspiration to get crafty with their kids at home. 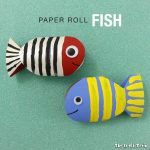 You can find her blogging over at The Craft Train, or sharing fun printable crafts in her online store, Super Fun Printables. 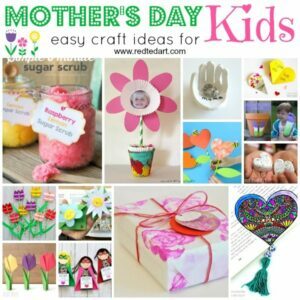 And finally, more great ideas for Mother’s Day..